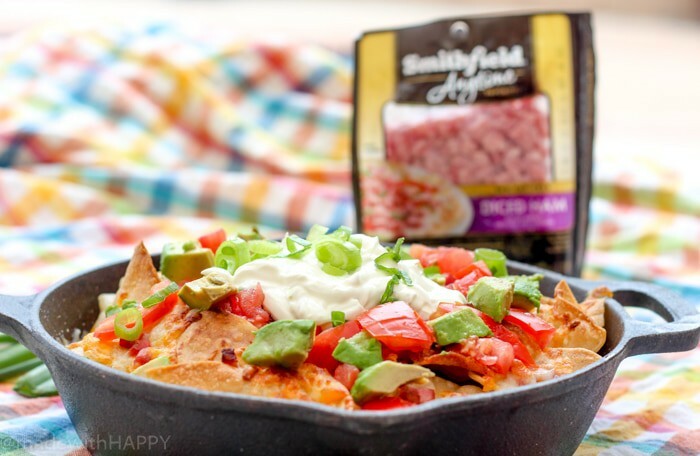 Thank you Smithfield for sponsoring this recipe. 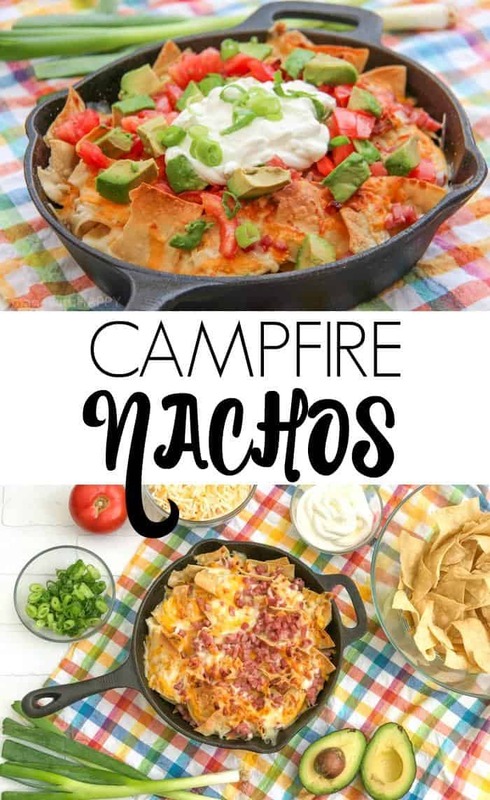 Simple and delicious ingredients to make these Campfire Nachos for your next camping trip or backyard BBQ. As summer is just around the corner, our family is all about the outdoors. 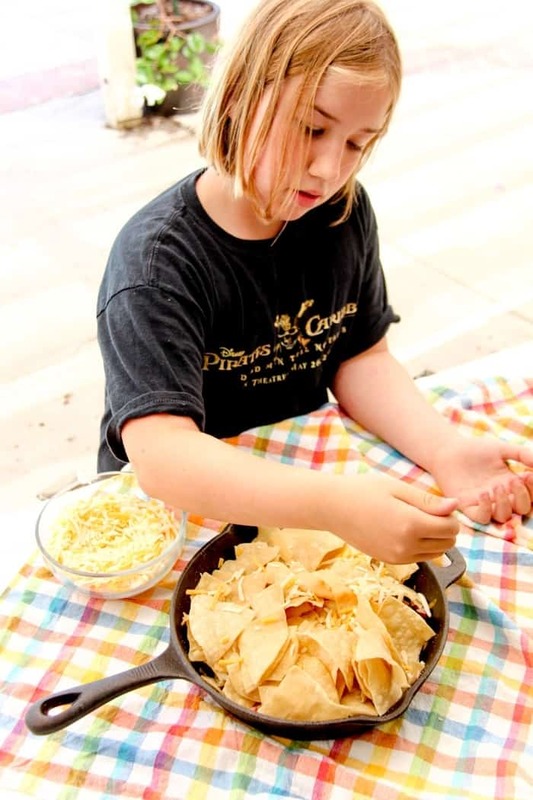 Whether it’s picnics, camping, or a day at the beach, the mere thought of turning on the oven during the summer heat sounds like the last thing we would want to do. 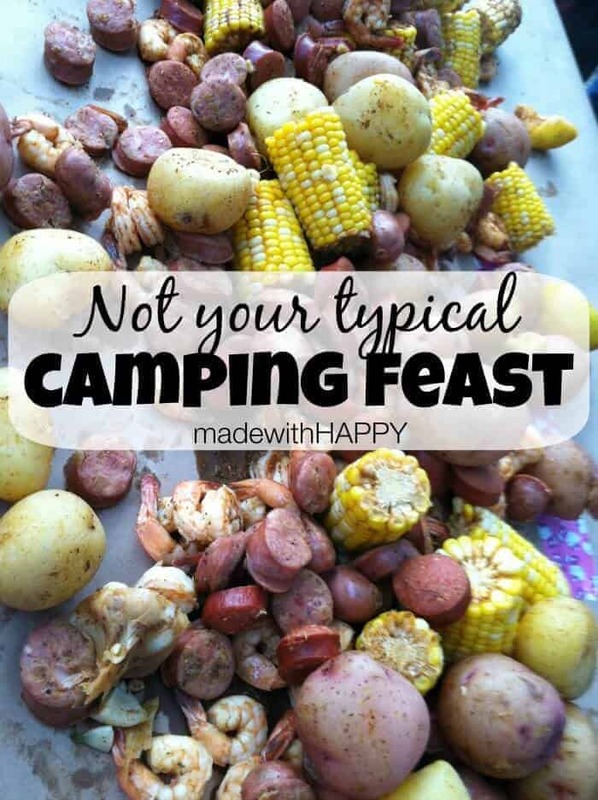 We are always looking for simple and delicious recipes that we can easily pack in our cooler for camping or for our backyard BBQ. Do you all make a bucket list for the summer? We have the last few summers and it has been so much fun. We are able to think up ideas before summer and the sky is the limit. Then when we’re either looking for something to do, or double checking how we’re doing on the list we can reference it. I can tell you what is sure to be on our list this summer… camping. As a matter of fact, we’re headed off this weekend to go camping through the Daddy-Daughter camping group my husband and daughter belong to. We’re headed off to a local campground where we will ride bikes, hike, play games and have a great time. 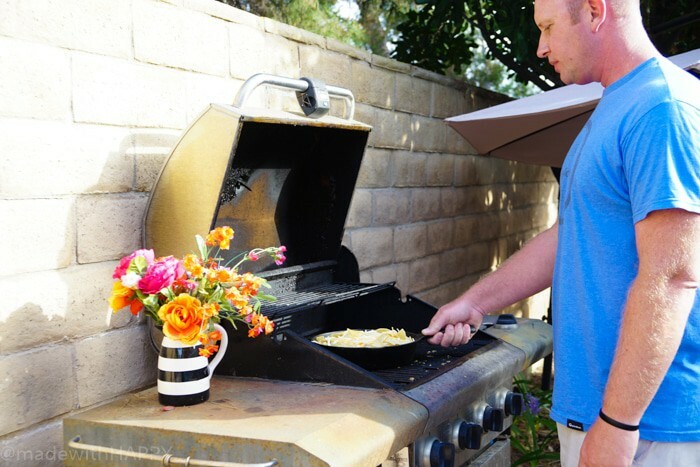 You can even camp in your own backyard to create memorable backyard moments with your kids! 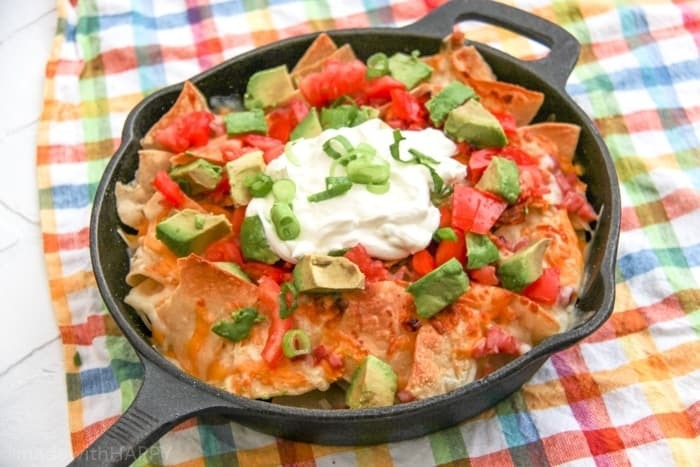 Okay, back to the deliciousness of these Campfire Nachos. 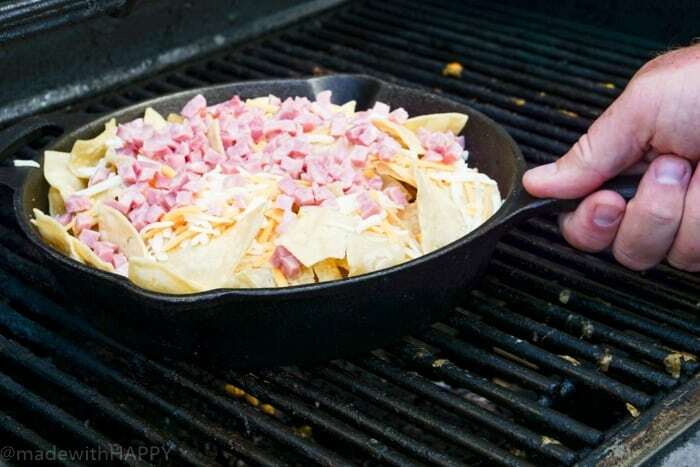 What I love about Campfire Nachos is that they are super simple to put together. 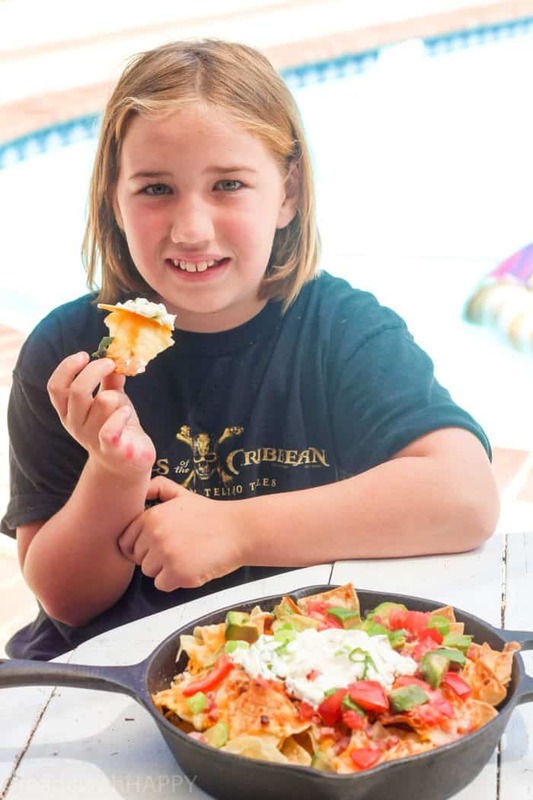 The kids love to help to put them together as they contain simple ingredients, and then just a few minutes on the open fire, or on the BBQ, and they are done and ready to share with your friends and family. 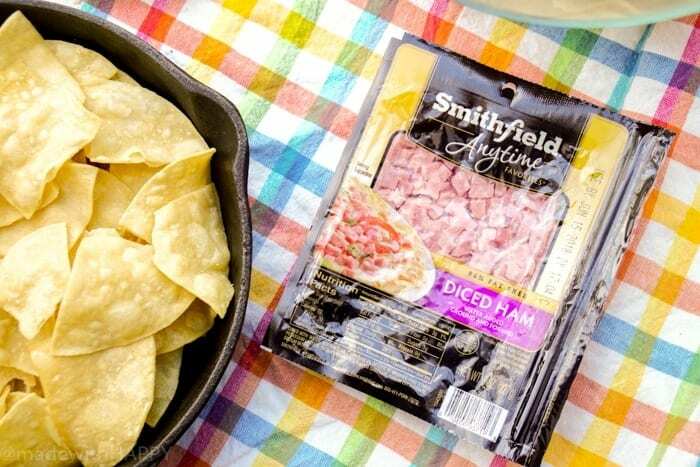 We love adding Smithfield Anytime Favorites to this dish as they are great for adding protein to your summer meal. This line of ham has incredible taste without having to prepare a full spiral ham. Oven taste without the oven. 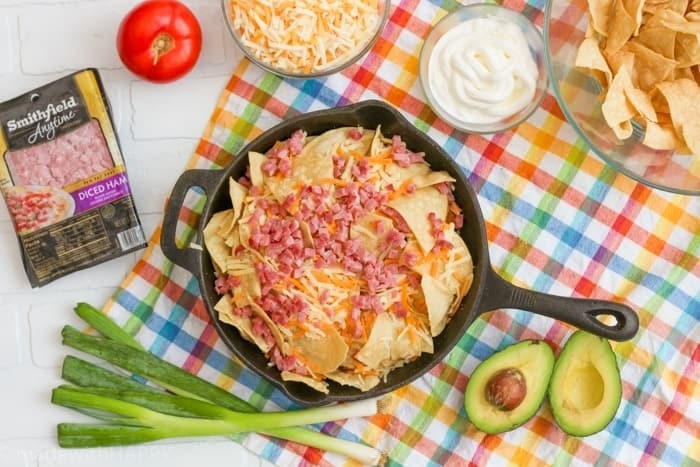 These nachos wouldn’t be the same without Smithfield Anytime Favorites Diced Ham to complete the dish. WINNING!!! 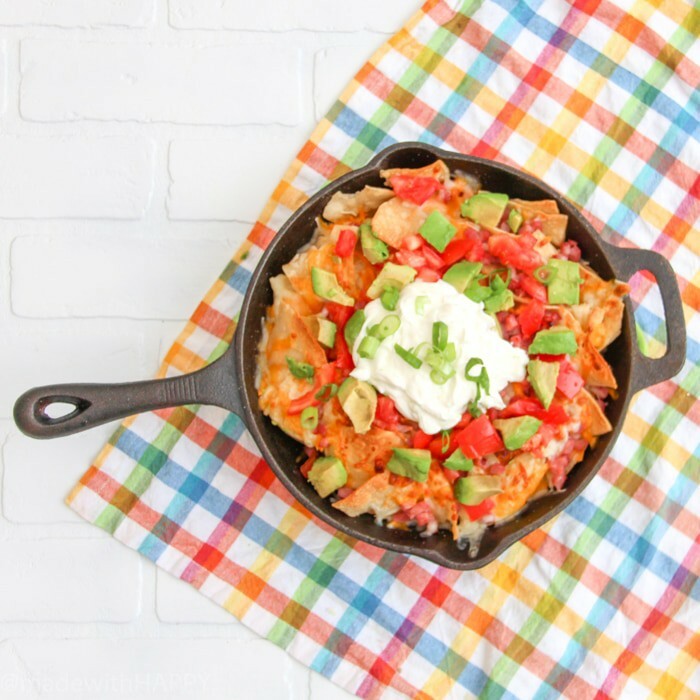 Grab your favorite sous chef and have them add the bag of tortilla chips into a cast-iron skillet. Sprinkle the cheese and ham over the top of the chips. From there, someone old enough to handle the flames of an open fire or the BBQ should place the cast-iron skillet onto the flame. If you’re on an open flame, place a lid on the top. 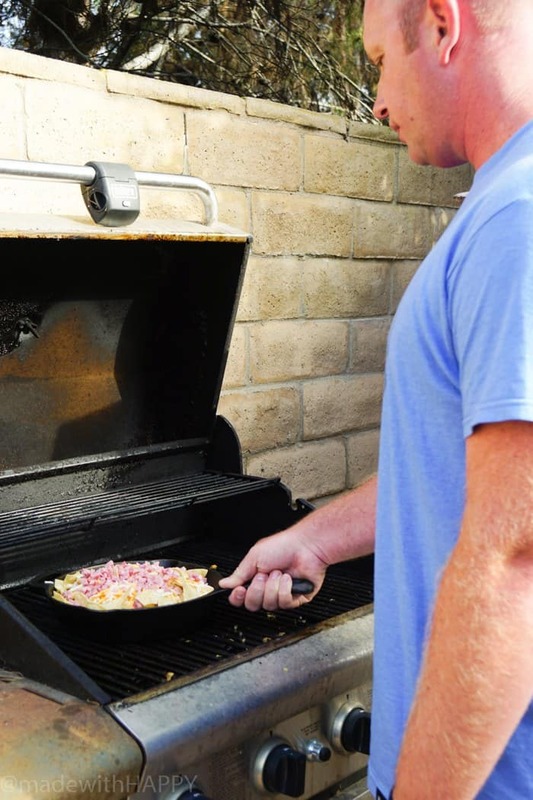 If on the BBQ, close the lid for 5-8 minutes till the cheese is melted. Once you’ve removed from the fire, sprinkle the tomatoes and avocados over the top. Then a generous dollop of sour cream and the chopped green onion. Enjoy! This post was sponsored by Smithfield and the opinions in this post are my own. 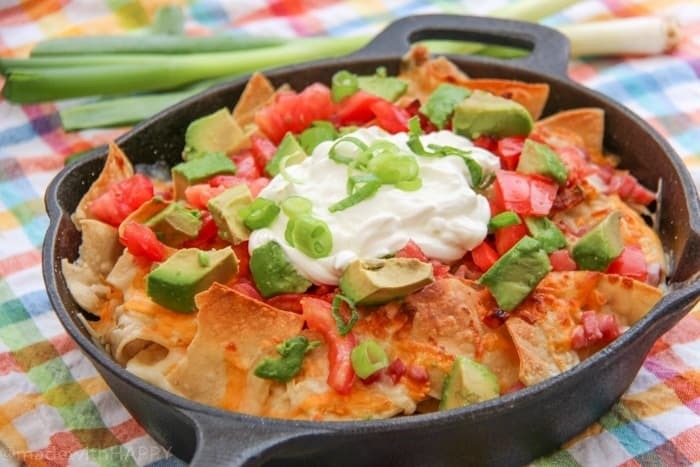 PIN IT TO YOUR RECIPE BOARD ON PINTEREST!